To rent or to buy seems like the choices you have if you choose to live off base or post. 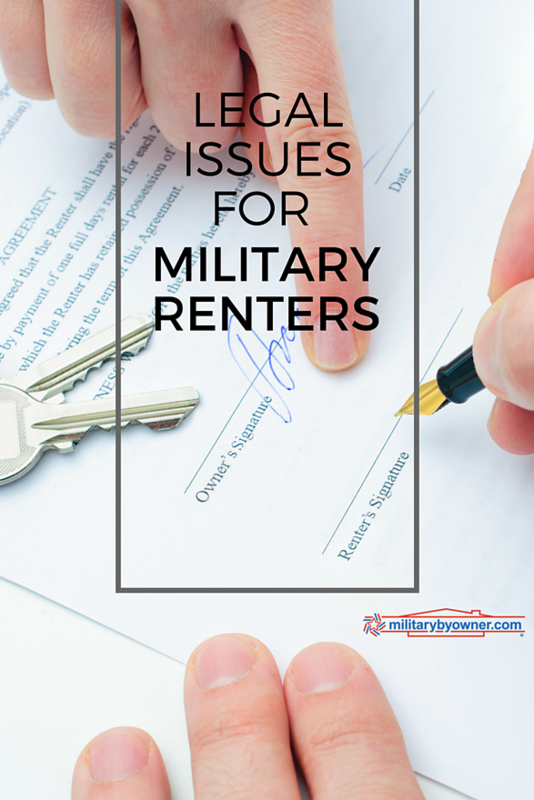 If military housing isn't an option, out of those two choices, renting seems like it would be easier. But is it? As with all financial decisions that involve an ongoing (especially contractual) commitment, renting is not risk free. But like all things with legal risks, there are ways you might be able to prevent problems from ever happening! Make sure you figure out which rental agents and/or landlords have a good reputation. Ask friends or family at the duty station. A social media group for the area might also yield some information. Be aware, though, that it is easy to be an internet warrior and you may not get 100% accurate information. You can meet with a broker or the housing office on base or post and ask them about reputation and recommendations. The local real estate association or visitor’s center may also have information about local property management companies or apartment complexes (which may handle all rentals in-house). If you’re planning on working from home, be sure to check our post on house hunting for those who work from home. Every state has slightly different rules when it comes to tenant-landlord agreements, so read your lease every single time, before you sign it. Be sure to understand how damages are assessed for any damages to the property, the process for breaking the lease, and any additional fees. For example, the lease may indicate payments additional to rent, like utilities, an HOA facility use fee, or landscaping fees. Be sure you read the lease carefully to ensure that you know the total cost of renting the property. You also need to read your lease to understand what changes you can make to the property and how to handle any maintenance issues. While the costs associated with maintenance should be nonexistent with a rental property, the reality is that as a renter you still have a responsibility to report damages or issues with the property in a timely manner. If you don’t do this, you can be held liable for the additional damages that occurred because of your failure to notify the property manager or owner (whomever the lease identifies). Did you know that the property owner’s insurance doesn’t protect you as a renter? For this reason, renters insurance is a must to consider! BAH for on-base housing used to include renters insurance. It does not anymore. What this means is that, regardless of whether you rent on or off base, you need to have your own coverage. The owner’s property insurance will likely not cover your personal property if it is damaged due to damage to the home. Remember that like property contents insurance, you will need to detail high value items. The Servicemembers Civil Relief Act 2003 (SCRA) provides some protection to those who are active duty or on certain types of activated National Guard and Reserve. The SCRA allows you to terminate your rental lease based on your military service – if you enter into military service during the lease or you enter into a lease during your military service and then deploy for at least 90 days or receive PCS orders. To break or terminate the lease early, you must provide written notice. 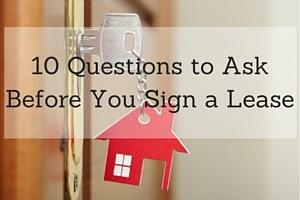 Telling a landlord or their agent verbally is not enough. You will also need to include a copy of your orders with the written notice. There are also rules about the date the termination is effective that you need to be aware of when providing written notice. For all leases (except month to month), the date the lease is terminated after written notice is the last day of the month following the month of notification. If a quarterly rental is due and the notice of termination is given on March 20, the effective day of termination is 30 April. You may still need to pay the quarterly rent on 1 April (and then have the money refunded). For leases where rent is paid monthly, the termination date for the lease is 30 days after the date of the next rental payment following written notification to the landlord. If rent is due on the first of the month and you notify on 2 September, then termination will be 31 October. You are not required to pay out your lease or pay a termination fee. If any rent has been paid in advance, the landlord must prorate your rent up to the termination date and refund any extra. If a security deposit was required, it must be returned to you when the lease is terminated, less any unpaid rent due and reasonable fees including charges for damages to the property. Many leases include a clause that acknowledges the requirements of SCRA; it is often referred to as a military clause. But, does the lease you sign have to specifically have included a military clause in order for you to rely on the SCRA and break a lease as consequence of orders? The short answer is no, it doesn’t. It should be noted that a military spouse's name can be on the lease as well as the military member. This was one of the significant changes that SCRA brought in – that having a non-active duty householder on a lease along with the active duty member no longer prevents the household from relying on those orders to break a lease early, but the lease MUST include the active duty member. A specific housing related power of attorney should be sought so that a spouse or roommate can submit written notice and the copy of orders without the signature or presence of the active duty member. In addition, it is important to note that SCRA offers protection from landlords who may attempt to evict a tenant who seeks to rely on SCRA – basically, if you submit notice for two or three months ahead of time and orders, they can’t then try to evict you earlier because of that notice. There are a couple of caveats: your rent must not exceed $3,584.99 per month (for 2017 – this amount changes each year) and you are not barred from relying on SCRA if you rented the property prior to your military service. In fact, landlords must obtain a court order to evict any tenant (and their family) who is on active duty orders as long as the monthly rental amount is below the threshold above. The court can block the eviction for up to three months. In those cases where you can show that your military service is affecting your ability to pay rent, a court can block your eviction for even longer. This may be the case in situations where a reservist is activated, there is a government shutdown, or a national guardsman is deployed and no longer receiving their main source of income. This provision of the SCRA is not designed for military tenants to avoid paying rent, but rather to protect families who are temporarily struggling with making rental payments as a direct consequence of their military service. Can You Waive Your Rights Under SCRA? Yes, you can legally waive your rights under the SCRA. For example, say you obtain a six-month lease while waiting for base housing. A landlord can request that the lease include a waiver of your SCRA rights to terminate the lease early. This might be an acceptable compromise in a challenging rental market. However, it may not be wise to waive your rights under SCRA for a lease longer than 6 months! As a note of procedure, any waiver of a right or protection provided under the SCRA in the context of a lease must be in writing and must be at least 12 point font! You’re not supposed to overlook it! Renting is not as risk-free in comparison to buying a property as many might believe. But, like all legal transactions, a little bit of awareness and forethought can go a long way to prevent trouble down the road! Note: This post is not meant to be legal advice for your specific situation, but used for informational purposes only. If you have legal questions regarding renting or any other topic, we encourage you to seek the advice of an attorney in your area. Is a Rental Property the Right Investment for You?